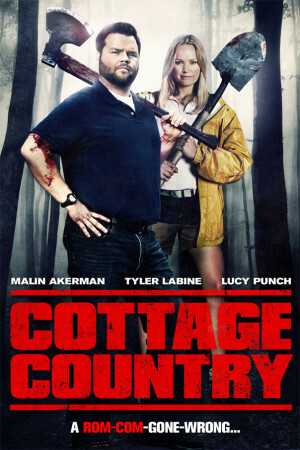 Todd (Tyler Labine – Tucker & Dale Vs Evil) wants everything to be just perfect at the family cottage where he plans to propose to the love of his life Cammie (Malin Akerman – Watchmen). But things begin to go awry when they are joined at cottage unexpectedly by Todd’s slacker brother Salinger (Dan Petronijevic – American Pie: The Naked Mile) and his free-spirited girlfriend Masha (Lucy Punch – Bad Teacher). When an argument between the two brothers sees Todd accidently dispatching his irksome sibling with an axe, Cammie is determined not to let murder stand in the way of their perfect weekend.